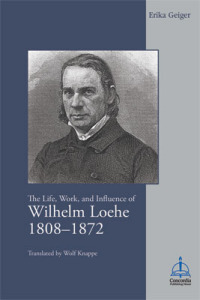 In commemoration of Wilhelm Loehe’s birth on February 21, we’ve posted below an excerpt from his biography, The Life, Work, and Influence of Wilhelm Loehe, 1808–1872, originally written in German by Erika Geiger and translated by Wolf Knappe. A pastor in nineteenth-century Germany, Wilhelm Loehe became a father of confessional Lutheranism in North America and founder of the deaconess movement in the Lutheran Church. Several friends of Loehe among the Erlangen professors followed a similar path from the Revival Movement to confessional Lutheranism, especially Karl von Raumer who changed his membership from the Reformed to the Lutheran Church. The same was true of Adolf von Harless, a friend of Loehe’s from the days of his youth. Soon the concept of “Neo-Lutheranism” made the rounds in Erlangen. Loehe put down his thoughts about the Church in the important work “Three Books about the Church” which appeared in 1845. The Church is one, gathered from all nations . . . the universal, truly Catholic Church—it is the great concept that is still being fulfilled . . . the concept which must permeate all mission, or it does not know what it is and what it should do. 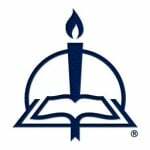 For Mission is nothing but the one Church of God in its movement . . . the realization of a universal catholic Church. Thus the task of missions is to gather the one Church out of all nations. One Church—and yet there are many “particular churches,” each one having its own “jewel.” They are different in their understanding of the Word and in the administering of the sacraments, and therefore in their Confession. Which church possesses “the greatest truth?” The criterion has to be whether its “Confession is according to the Scripture.” And here Loehe wanted to “present the laurel wreath” without reservation to the Lutheran Church. The only thing that bothered him was the name “Lutheran,” because it is not appropriate to describe the “great work of the Church” with the name of a human being. In reality it is the old Christian Church of the apostles. Luther had restored its pure confession against the “innovations and misuses” of the Roman Church. Therefore the Church would have to be called “Christian, Catholic, or Apostolic,” were it not for the fact that other Partikularkirchen (individual churches) have usurped those names for themselves. From Wilhelm Loehe 1808–1872, pages 85–87; English translation © 2010 Wolf Dietrich Knappe, published by Concordia Publishing House. All rights reserved. To order Wilhelm Loehe, please contact CPH at 800-325-3040 or visit www.cph.org.